The month of November surely says ‘come winter’. The onset of winter invites a lot of greens and veggies and surely it’s the best time to cook curries using them. Yes, you have guessed it right the theme for this month’s event is CURRIES. Come up with innovative curries and send them across to Kamalika of Janaki’s Kitchen, who is going to guest host this event. The rules and details of the event can be checked in her blog here. 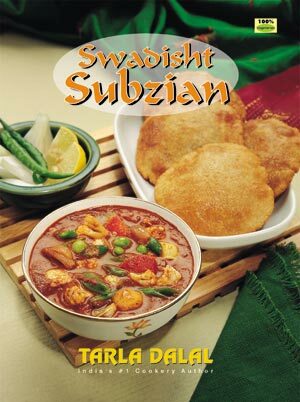 This book provides you recipes of curries from various regions of India. For winning the giveaway leave the links of your entries sent to Kamalika in this giveaway page and I will pick up a winner randomly after the event is over. wonderful theme !! will try to participate !! lovely theme..sure to send in my entries..
nice theme... will try sending my entries..
Will try & send some more soon!!! will def send some more recipes..thank you!! wonderful event Pari: Sending my first entry here : already following you on FB etc. Here's my 1st entry "http://achusmenu.blogspot.com/2011/11/aloo-fry-potato-fry.html"
Am following you publicly as well as have liked your FB page. Hi Pari, Just sent my entry to this event.. Thanks for holding such a wonderful event. Here is my 3rd entry - Aalampana. Hi Pari, love the theme. I have just sent in my entry. Here is the link. Hi, Im sending "Pumpkin Masala" for the entry of "Only-Curries" Event. Here's my entry for the event Pari. .
My 3 rd entry here Vegetable Kofta Curry. I'm following you on facebook & google. I'm following you on Google & Facebook & hence, eligible for the giveaway. I'm following you on google & facebook. Linked to the announcement and added logo.